Since it’s release date last month, I’ve been running Altaro VM Backup 7.6 in my home lab and one thing is for sure – Altaro VM Backup has certainly come a long way since the last time I did a Altaro VM Backup review. Altaro is an easy to use, policy driven backup solution that is affordable for the small and medium sized businesses. VM Backup supports both Hyper-V and VMware environments and with the release of Altaro VM Backup 7.6 comes several new features that we’ll look at below. Continuous Data Protection (CDP) – Without a doubt this is the most notable feature-add in Altaro VM Backup 7.6. 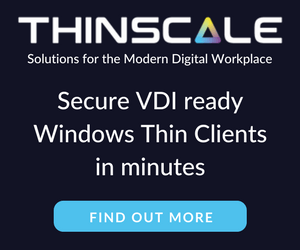 Continuous Data Protection or more aptly near-continuous data protection allows you to switch from the common daily backup schedule to an almost continuous backup mode that will backup your VM as frequently as 5 minutes! CDP greatly reduces any data loss to just minutes compared to hours typically found on daily backups. The downside however is that CDP is only available for Hyper-V using Altaro Unlimited Plus edition at the moment. Altaro says that VMware CDP support is just around the corner with its release scheduled in the coming weeks. Grandfather-Father-Son Archiving (GFS) archiving – Users now have the option archive local backup version, above and beyond their continuous and daily backup schedules instead of simply deleting them. 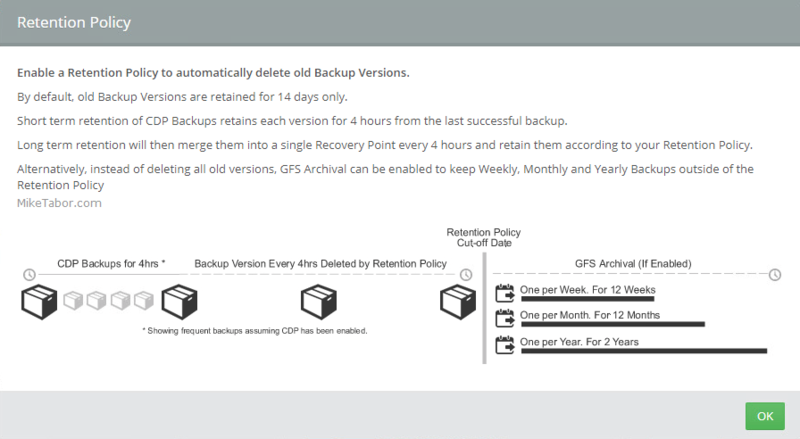 When you enable GFS in your backup policy, Altaro VM Backup will also retain Weekly, Monthly and Yearly backup versions outside of the retention policy. Change Block Tracking (CBT) v2 for Server 2012 and 2012 R2 – In Altaro VM Backup 7.2, CBT will continue to work on Hyper-V agents even after a host reboots, during Altaro software upgrades, and when moving VM’s between failover cluster nodes. Parallel Backup and Restore Operations – This for me has alleviated a pain point I’ve had in the past. In older versions of VM Backup backup, offsite copies, and restore operations could only be ran one at a time. With the addition of concurrent backup and restore operations users for example can restore and make offsite copies without delaying any scheduled or CDP backups. Overall Altaro VM Backup continues to be a great product. Altaro has been great about enhancing and adding new features to the platform with each release and 7.2 is a prime example. The UI in VM Backup continues to fast and easy to use, but it’s also one of the most helpful I’ve seen in a long time with all of the help overlay windows. 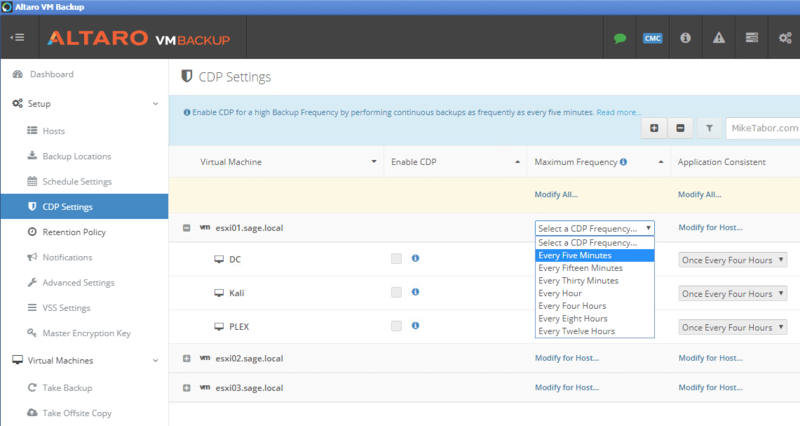 I’m certainly looking forward to the next release so that I can start using CDP in my VMware environment as well. All in all, I’ve been using VM Backup 7.6 for the last 3-4 weeks and Altaro continues to impress and is certainly a solution I would recommend to any SMB. Download a free 30 day trial. 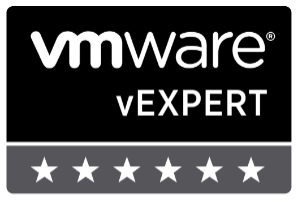 If you are a VMware vExpert then I would recommend getting a free license and trying it in your home lab. If for nothing else to have another possible tool in your arsenal.